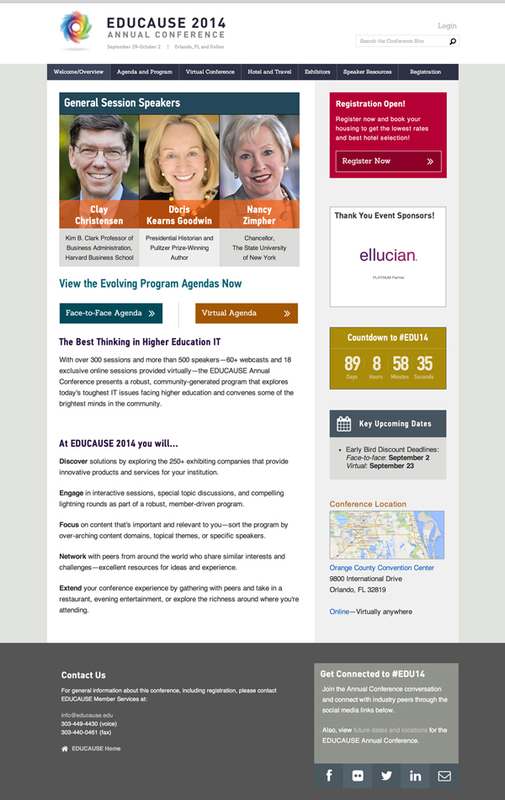 As the industry leader in Higher Education IT education and communication, EDUCAUSE strives to be the very best when it comes to their conferences and services. 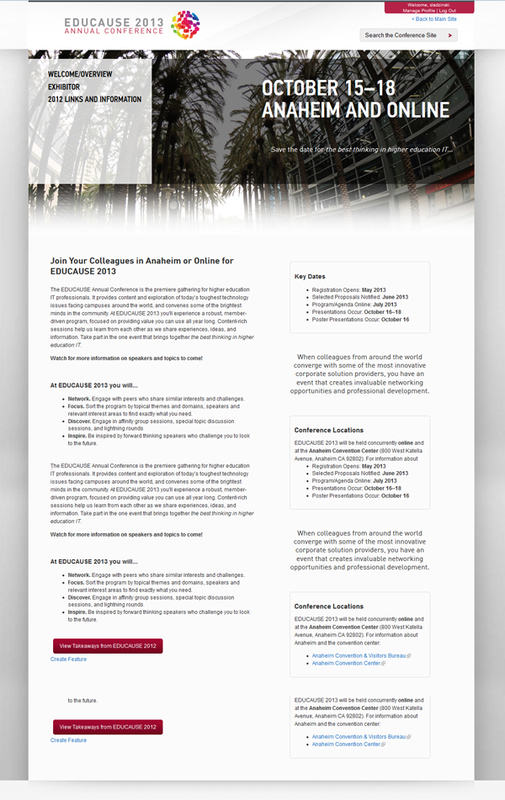 In 2013, the EDUCAUSE Annual Conference Micro-site was lacking any intuative user funtionality and was wrapped in an outdated and infliexible design. From the onset, the goal was to create a user experience and logical user interface that would allow visitors to find what they needed quickly, efficiently, and logically. A high flexible design was necessary as the site runs on a six part launch schedule, starting with a call for proposals launch date kicking off the experience and ending finally with a "week-of" page in which the entire user interface shifted from informational brochure ware to a collection of the most pertinanet things attendees would need. An additional level of complexity on top of the project requirements was that in reality two conferences ran simultaneously, one for face-to-face and one for virtual attendees. The two experiences shared very little common denominators but needed to be promoted equally and on the same website.